Patriotic Front (PF) Southern Province Political Secretary Brian Hapunda has been discarded. Hapunda, a former UPND officials and electoral agent for UPND leader Hakainde Hichilema betrayed his party to go and eat honey in PF just after the elections. 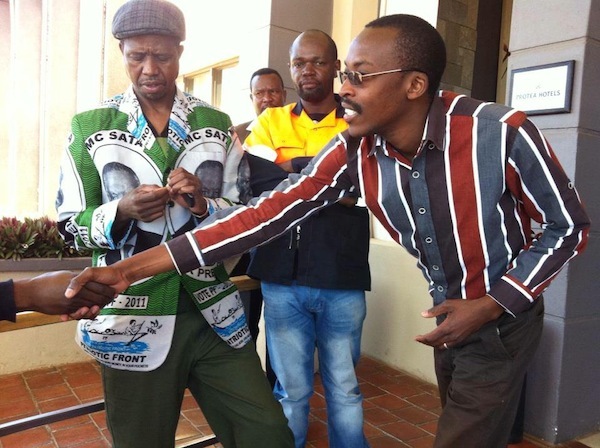 He went on a mission to try and destabilize the UPND on behalf of the PF. Radio Phoenix reported at 18 hours today that Hapunda has been fired for engaging in various fraudulent activities. Among the frauds he has been accused of is obtaining money from individuals and organisations while falsely pretending to be doing so on behalf of his master Sata. But when he was asked, Brian said he was in Lusaka not in Livingstone but did nit answer the question. Hapunda is not new to such issues. He was expelled from UNZA for going into the exam room with a ‘leakage’. Not that extorting money from businessmen is alien by the corrupt PF government that is doing it everyday, the only mistake Hapunda made was not declaring and taking the money to the chief financial extortionist himself, President Sata. Hapunda was the Southern province PF provincial political secretary whose names was ever being abused to issue highly inflammatory statements against his former party the UPND.